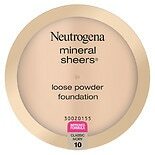 Shop Neutrogena Mineral Sheers Loose Powder Foundation Classic Ivory (.19 oz. ).19 oz. 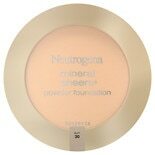 Shop Neutrogena Mineral Sheers Powder Foundation with SPF 20 Buff (.34 oz. ).34 oz. You rely on your cosmetics to enhance your natural beauty and help you look your best every day. If you want to keep your cosmetics collection green and accentuate your features without looking overdone, sheer mineral makeup products from Walgreens may be the ideal solutions to give you the gorgeous look you want. Mineral makeup is a type of naturally based cosmetic. Traditional cosmetics typically contain synthetic pigments that are used to color the face, lips and eyes. In mineral makeup formulas, these man-made ingredients are replaced by a combination of natural minerals like iron oxide and titanium dioxide. Additional ingredients may also be added to the formulas, depending on the product. Women who prefer mineral makeup may have sensitive skin that is prone to reactions when exposed to chemical pigments in ordinary cosmetics. Some ladies also feel that mineral makeup is easier to blend or that gives the skin a fresher, more natural look. You may also choose to opt for mineral makeup in order to keep to a more natural personal care and beauty regimen. Sheer cosmetics are very lightweight formulas. When applied to the skin, they add just a hint of color to the complexion, eyes or lips and allow the natural color and beauty of the skin to still show through their surfaces. Using sheer cosmetics gives the face a fresh look and keeps the emphasis on the beauty of the skin itself rather than making the face look as if it is covered with makeup. A sheer makeup product is also a great choice for layering on colors to give new life to cosmetics that are already in your collection. Mineral makeup brands offer sheer cosmetics options for many different purposes. You can find sheer mineral lip color that adds just a faint hint of color to the mouth and eye products that bring out the beauty of the eyes with a touch of coloration. 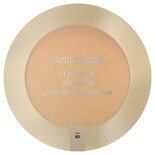 Sheer cosmetics for the face, such as mineral-based blushes are also offered to enhance the natural undertones of the complexion.